[Satnews] DataPath, Inc. has announced their first sale of Inmarsat’s Global Xpress (GX) service to a U.S. government customer. The announcement follows Inmarsat’s confirmation of Global Commercial Service Introduction for GX in December 2015 and DataPath’s earlier selection as a GX service provider for Inmarsat Government. 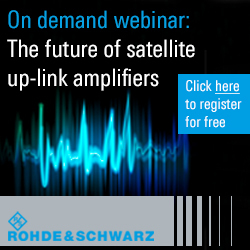 The sale will allow U.S. government customers to quickly and easily connect to the industry’s first high-throughput global commercial Ka-band satellite service using Inmarsat GX certified terminals. 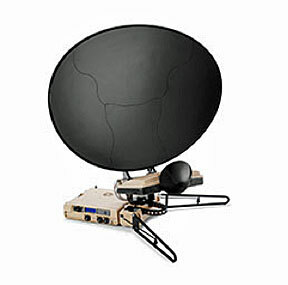 DataPath offers a portfolio of commercial and military Ka-band terminals, including the field-proven CCT120 auto-acquire system that received mil-Ka GX type approval last fall, and the all new QCT90 man-packable terminal. For the thousands of existing CCT120 units already deployed around the globe, DataPath has developed an upgrade kit that will allow users to quickly and easily transition to Inmarsat’s commercial Ka-band frequencies. Both these terminals and the upgrade kit will be undergoing the Inmarsat certification process for commercial Ka-band frequency. As an added feature, many of DataPath’s terminals are also Wideband Global SATCOM (WGS) certified enabling dual compatibility with both Inmarsat GX and military satellites from the same equipment kit. Inmarsat Global Xpress is an end-to-end wideband satellite connectivity service that supports high definition voice, video and data applications in a variety of operating environments. Its beam-to-beam handover capabilities and worldwide coverage make it ideal for communications-on-the-move across air, land and sea. Additionally, fixed monthly subscription pricing enables customers to more predictably manage their budgets, without limiting use of the service. DataPath customers can combine these new terminals with the company’s other offerings, which include MaxView® Enterprise™ network management software, advanced network mobility products, 24 x 7 managed cyber security services, and field implementation and support services, to meet all of their end-to-end remote communications requirements.